I am on a mission to start hitting things hard. I have a long list that needs to be tackled and I need to really spend every second I can working on it. I just need to start ignoring "me" for a bit. I have already been sidelined to make myself this cute Go Faster Box Bag the other weekend. And I managed to work up a tutorial for my do.Good stitches bee blocks last week. Card Trick Block in two different sizes! Saturday, I managed to pull out all of my Fat Quarters out of their bins and get them out on a shelf so I can see them. 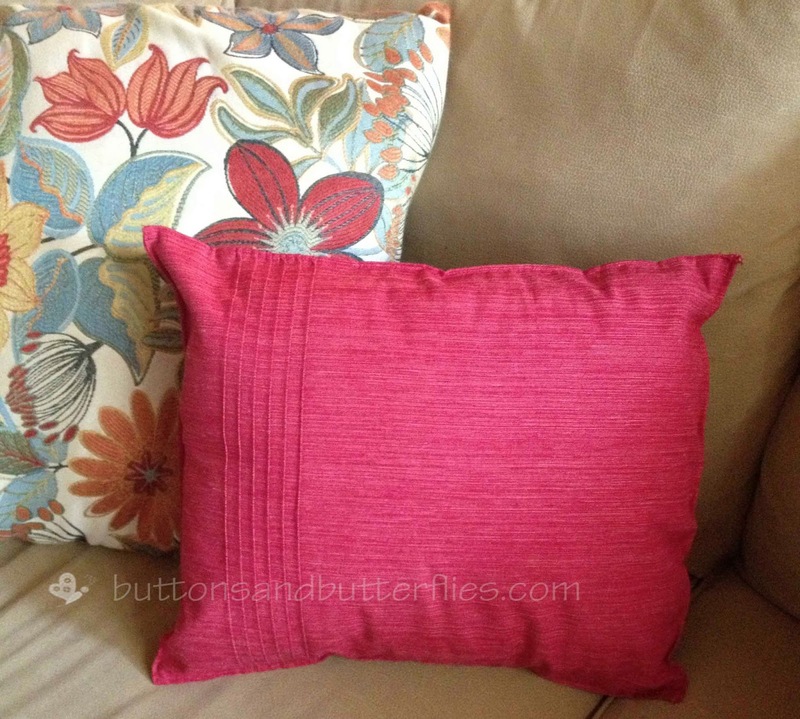 This past Sunday, I kinda-sorta tackled the list by finally making a new throw pillow out of placemats I bought for the family room. And late night Mother's day, I was thinking about my little girl, and decided to design a Butterfly Kiss block. 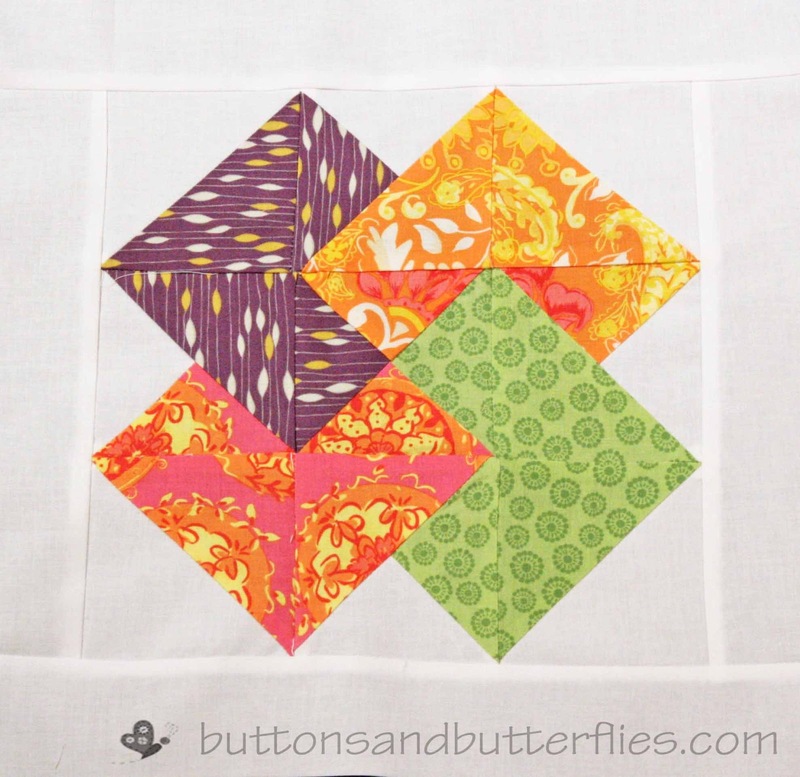 It is paper pieced and am hoping to find a tester or two after I figure out how to get it into .pdf form. I was able to finish it up yesterday morning. Otherwise? I have been working on this. I promised myself I would NOT take this up. No knitting or crocheting. But then I found the DVD I had thought I had given away and I just couldn't resist. 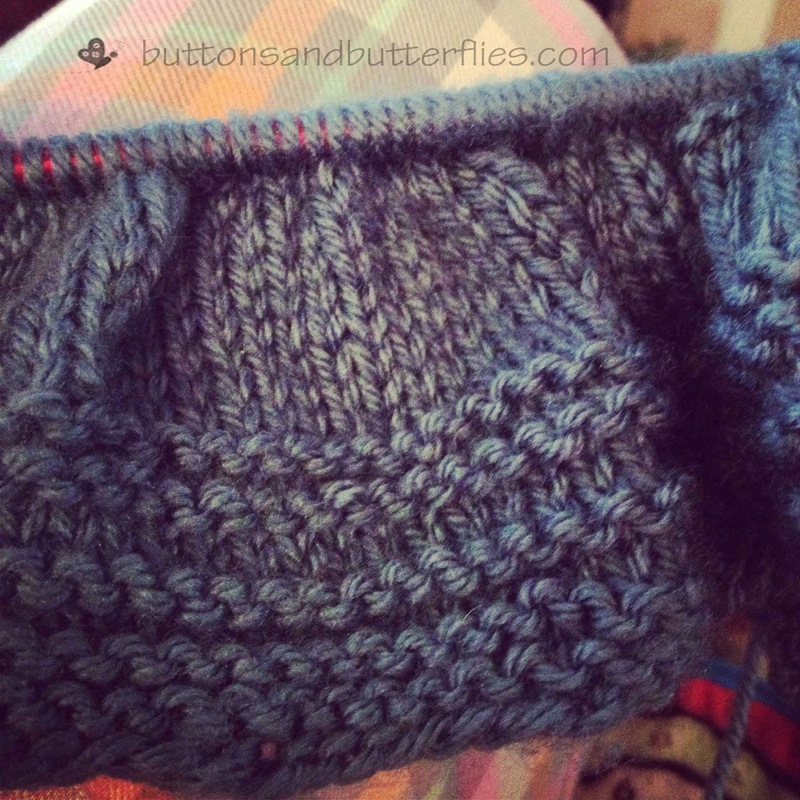 The first starts were rough, and I do NOT plan on making sweaters any time soon. But I have a project in mind for a simple square. We shall see! Now to get focused on everything else on my list. I can't even seem to blog regularly lately! "Me" needs to settle herself down!!! Wow, you've been busy. Everything looks wonderful...especially the butterfly block! Great job. love your pillows............and your FQs; lol. Your butterfly is adorable!!!! You definitely got a lot done and the butterfly is adorable! 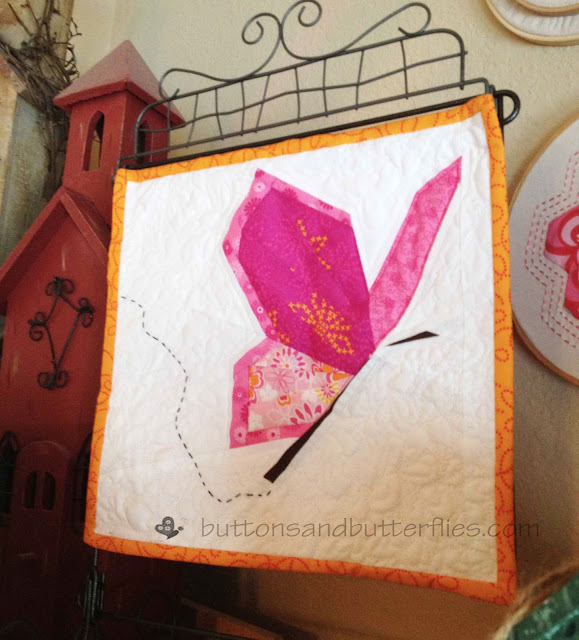 I am in love with your butterfly block! I would really like to try it out!! 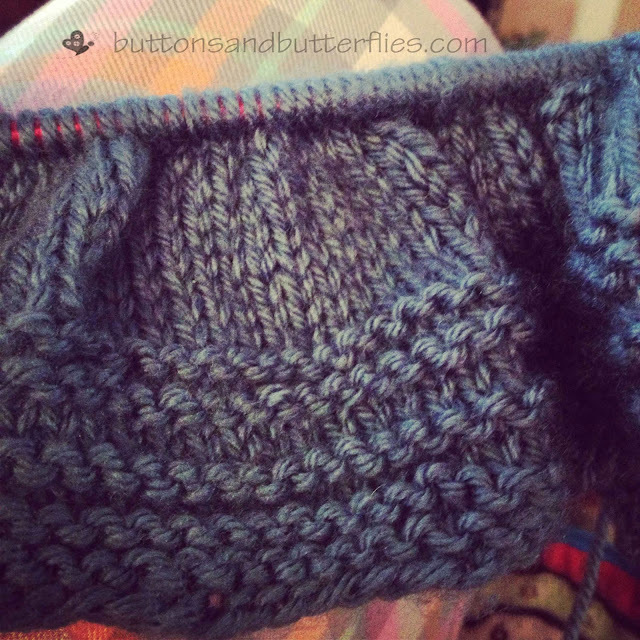 Each of your projects is beautiful and I love your fabric - too pretty to keep hidden away. Yup a quilters brain is always in motion ya know what I mean?! I really like the butterfly. 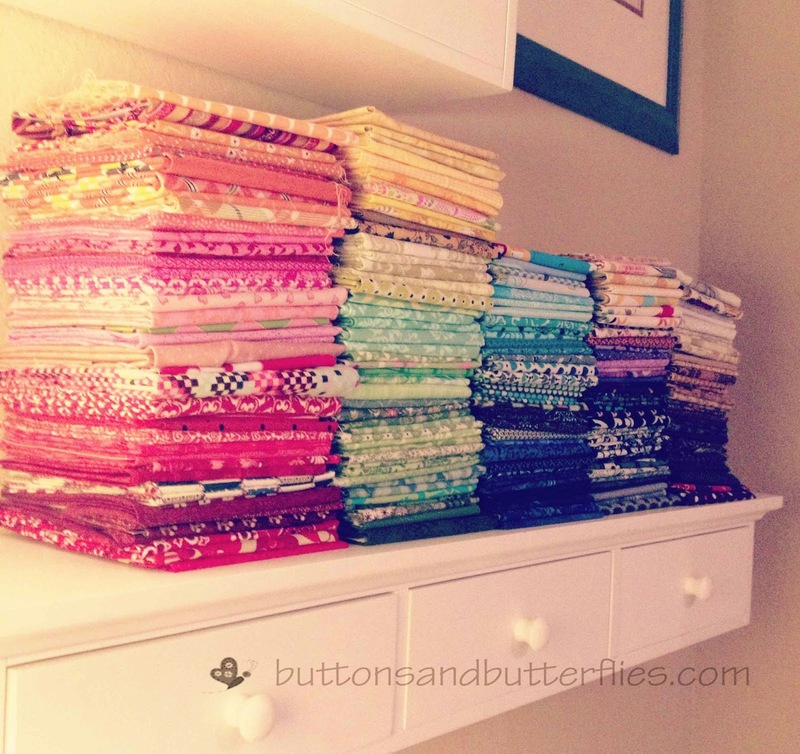 Where did you get the shelf that your fabric stash is on? Wow! So many fun projects! I especially love the bag and the bee blocks. What fun to see all your lovely projects! Love those hexagons on your go faster bag! Whoa, you've got a ton of things going on! I love love that adorable butterfly. Just read your story - the butterfly is perfect. Hugs. 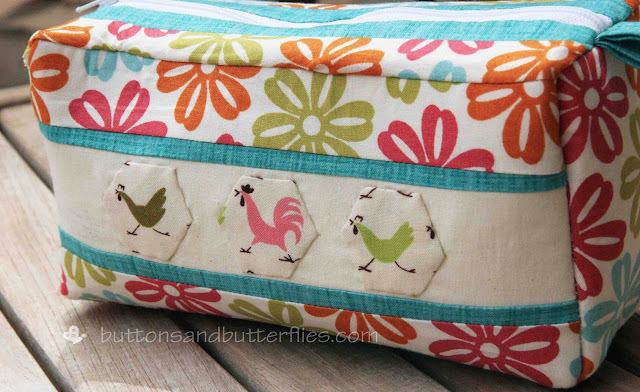 I love the bag and those fussy cut rooster hexies! And the butterfly is really cute.